Putting Women in Their Place: Around the Negotiating Table. The ‘Pink Sari Revolution’. 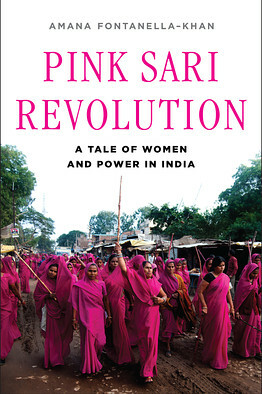 The ‘Pink Sari Revolution’ Wall Street Journal …The Wall Street Journal: The Pink Gang: Who are they? And why do they wear pink saris?Amana Fontanella-Khan: The Pink Gang are an all-women vigilante organization based in Bundelkhand, a region in [the northern state of ] Uttar Pradesh known as the badlands of India. They fight for the rights of women, the lower castes and the poor. Their trademark is their pink sari uniform, which they wear to be easily recognizable and to foster a sense of unity among members. They chose pink because, unlike most other colors, it had not been appropriated by either a political or a religious group. WSJ: Why do you think it’s important to tell their story? Ms. Fontanella-Khan: Often, the rhetoric around abused women is defined by their perceived powerlessness. This narrative reinforces the idea that women are passive, helpless people upon whom men impose their will. We need stories that recognize the agency of women and their ability to shape their lives and impact society. The Pink Gang reminds us that, through unity, power is within the reach of all women, no matter what their background. Bhutan faces invisible gender gap Livemint Of the 72 MPs elected in last month’s elections, only five are women—down from 10 in the country’s first general election. Photo: Wikimedia Commons. Women Power in Political Parties…..Will this help in … 10 min Women in Political Scenario of Maharashtra are taking the front seat….